In St. Lucia, casinos and gambling do not seem to attract huge crowds – although the St. Lucia lottery is quite popular amongst locals. However, there is only one casino, the core player base of which consists almost exclusively of tourists. Saint Lucia is a sovereign island country in the eastern Caribbean Sea on the boundary with the Atlantic Ocean. As a part of the Lesser Antilles, it is located north/northeast of the island of Saint Vincent, northwest of Barbados and south of Martinique. Saint Lucia gained its independence from the United Kingdom in 1979. It has a land area of 617 km2 and a population of 174,000 (2010 figure). Its capital is Castries. Saint Lucia is one of the few caribbean states that have a history of restrictive gambling laws. Before 1998, all gambling, except for the national lottery was outlawed on the island. However, the National Lotteries and Gaming Act was enacted in 1998, which allowed for the establishment of a national gambling control authority. A further 2004 amendment than paved the way for standalone casinos on the island (as opposed to earlier, when only resorts with over 200 rooms could apply for a licence)**. In 2010, the first (and so far only) St. Lucian casino, Treasure Bay opened its doors to tourists and local players. The island has a national lottery, tickets for which are available through land based lottery shops and an island-wide network of VLTs (Video Lottery Machines)***. The country seems to have no laws pertaining to online gambling and there is no trace of any St. Lucia based online casinos or online gambling sites. Online gambling is not regulated in St. Lucia. *Source: Foster, Kenny At Odds On Casino Gambling! Currently there is only one legal and operational casino on the island of St. Lucia – the Treasure Bay casino, which opened in 2010. The government also made it clear, that they do not want to to issue licenses uncontrollably. In fact, they are planning to impose serious limitations on the number of casinos in St. Lucia in the future – if they issue more licenses at all. There is no trace on the internet of any online gambling statutes being in force on the island of St. Lucia. It is safe to assume, that online gambling is unregulated in the country. Therefore players from the island are free to play on foreign online casinos that accept their registrations. The only land based St. Lucia casino, Treasure Bay does not operate a bingo hall. There is no information on whether it could do so legally, if it wanted to. My research indicates that online bingo is unregulated on the island. The authorities do not appear to restrict access to foreign online bingo sites in any way. Land based poker is legal and regulated in St. Lucia. Treasure Bay, the only legally operating casino of the country reportedly has quite a few poker tables. It reportedly offers a wide range of poker games to its players, such as Texas Hold ‘Em, Mississippi Stud, Omaha Stud, Bet the Set 21, 21+3, and Caribbean Stud. Online poker, on the other hand appears to be unregulated on St. Lucia. There is no sign of the authorities restricting access to foreign online poker rooms in any way. There appear to be no sports books in operation on the island of St. Lucia. The St. Lucia National Lottery does not operate any kind of sports betting game either. The island doesn’t have horse or greyhound tracks. As for online sports betting – while there are no local online betting operators, the government does not appear to regulate online sports betting and does not restrict locals from placing bets with foreign online bookmakers. Lottery is a state monopoly in St. Lucia. Lottery games on the island are operated by The National Lotteries Authority of St. Lucia (NLA), which was established with the enactment of the National Lotteries Act No. 27 of 1998. They offer quite a few lottery games, as well as scratch cards. The company also operates a network of VLTs (Video Lottery Machines). Recently, Treasure Bay casino filed a lawsuit against the The National Lotteries Authority saying that VLT machines operate unlawfully on the island (some say they only wanted to get rid of competition). However, the court ruled against Treasure Bay and VLTs continue to operate seamlessly*. 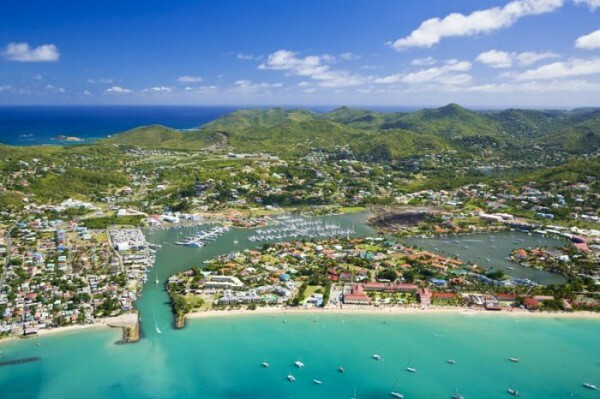 St. Lucia does not appear to have any specific laws pertaining to online gambling, let alone Bitcoin gambling. While there appear to be no Bitcoin gambling sites operating from the island, locals are not restricted in any way from wagering on foreign Bitcoin casinos, betting sites and other sorts of platforms specialising in digital currencies. There also don’t appear to be any laws in force in St. Lucia that limit the use of Bitcoin or other digital currencies. An overview of the legal status of various forms of online and offline gambling in the caribbean state of St. Lucia.